A federal appeals court has upheld a ruling that lower income children with autism in Florida cannot be denied a costly but effective treatment that can help them lead more functional, productive, and happy lives. The 11th U.S. Circuit Court of Appeal in Atlanta has ruled that U.S. District Judge Joan Lenard of Miami was justified when she ordered the Florida Agency for Health Care Administration (AHCA) to pay for the treatment. 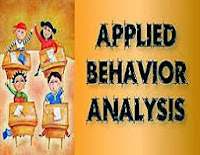 Lenard’s ruling could affect thousands of Florida children with autism, allowing them to receive ABA (applied behavior analysis) therapy, an intensive treatment that helps develop and build functional skills. 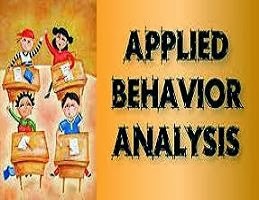 Applied Behavior Analysis (ABA) is a scientifically validated and established treatment that focuses on the principles and techniques of learning theory to help improve social behavior. ABA therapy helps to (1) develop new skills, (2) shape and refine previously learned skills, and (3) decrease socially significant problem behaviors. ABA techniques have been associated with favorable outcomes for individuals diagnosed with autism and are effective with a wide range of target skills and behaviors (e.g., communication skills, interpersonal (social) and play skills, learning readiness, self-regulation, and problem behaviors). The lawsuit was filed by Legal Services of Greater Miami on behalf of three children diagnosed with autism who were denied access to ABA therapy by Medicaid, Florida’s insurance program for low-income and disabled people. Medicaid called ABA treatment, “experimental,” and therefore not medically necessary for a child’s treatment. But following a lengthy trial, Lenard found that “there exists in the scientific and medical peer-reviewed literature a plethora of meta-analyses, studies and articles that clearly establish ABA as an effective and significant treatment to prevent disability and to restore children to their best possible functional level and restore their developmental skills” and that the state was discriminating against lower income children by denying access to the therapy. The appeals court, however, did remand the case to Lenard to clarify that AHCA retains the authority to determine the medical necessity for ABA coverage on a case-by-case basis. The appeals court noted that AHCA in its appeal had dropped its claims that ABA was experimental, but was concerned Lenard's order could be misinterpreted to require blanket coverage of ABA. In Florida, like many states, private insurers are required to cover ABA treatment. “This case will have national impact, because, while most states mandate that private insurance companies must cover ABA, most Medicaid programs do not provide coverage,” said Miriam Harmatz, lead counsel on the case.